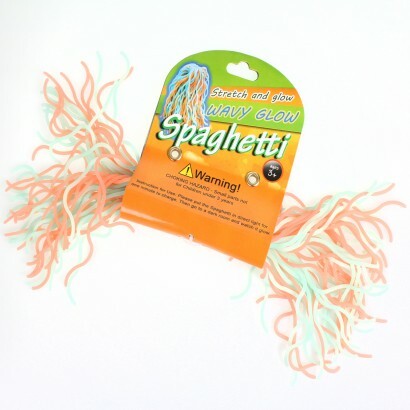 Stretch and pull or simply run your fingers through this wavy glow spaghetti and enjoy the tactile texture of this seriously addictive sensory toy! Expose to UV blacklight or allow exposure to light and then use in pitch black conditions and this wavy spaghetti will glow in the dark! Encourage interaction with the sense of touch using glow wavy spaghetti and appeal to visual senses too with a little glow.